This man took a photo with a plane hijacker pretty much just for laughs. In a stunt most people would think is out-of-your-mind crazy, Ben Innes said he did it to keep his spirits up. On Tuesday, one Innes was one of the 55 passengers onboard the EgyptAir flight from Alexandria to Cairo that was hijacked and forced to land in Cyprus’ Larnaca airport. 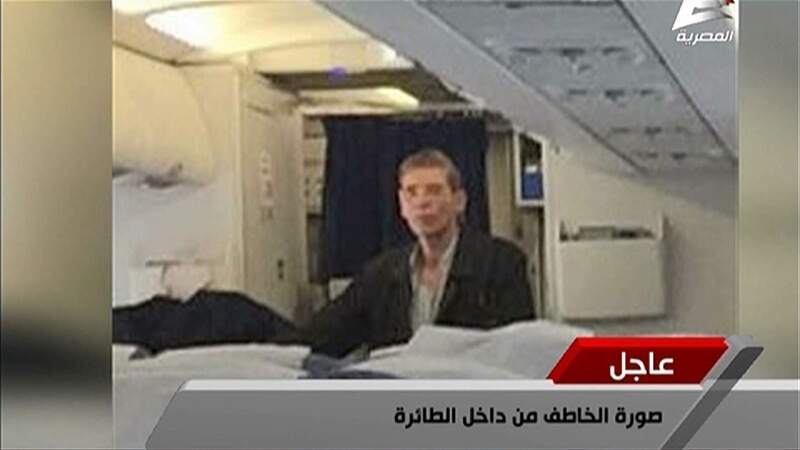 In a tense hours-long event, the hijacker, identified in reports as Seif El Din Mustafa, released most passengers, but Innes – along with two other passengers and four crew members – was kept on board. I could see he was wearing what looked like a bomb and I was obviously very scared. But he didn’t seem particularly anxious. About half an hour after we got to Larnaca I asked to have my picture taken with him. It would be the best selfie you could ever send to your mates — better than anything you’d ever get on a night out or on holiday. So, Innes asked a cabin crew member to translate for him, the hijacker agreed, and a flight attendant took the photo. Absolutely crazy. But, in what sounds like the dumbest idea ever, Innes did something smart – by getting close to the hijacker, he could get a closer look to see if the bomb was real. He determined it was likely fake and went back to his seat to try and think about what to do next. At this point, Innes obviously decided that the best thing to do was text him mum. She told him not to draw attention to himself. 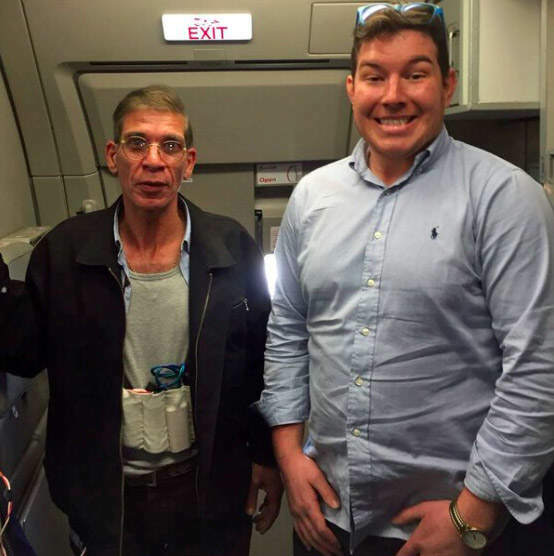 “I didn’t know how to tell her that I had already done a selfie with the hijacker,” Innes said. What a crazy string of events. Luckily, the drama ended peacefully with all of the passengers released and the hijacker arrested.